Are you afraid of going to see the dentist? Don’t worry. Your fear is common and you don’t need to be embarrassed. Dr. Perez specializes in treating patients who are dental-phobic (afraid of dentists). Many of her patients who arrive with apprehension and fear discover how well Dr. Perez eliminates their anxiety about visiting the dentist. 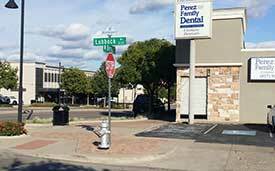 Browse through our site to learn more about Perez Family Dental. Then contact Perez Family Dental and let us give you the smile you’ve always wanted.